On the technology end, spam filters and antivirus scanners combat the threat of phishing e-mails. But these security features aren’t perfect. Inevitably, you’ll find phishing e-mails in your inbox, and the only true “patch” is awareness. To help you protect your sensitive information against cyberthreats, let’s review five telltale signs of a phishing e-mail and what to do when you’ve spotted a phish. You probably recognize the sender or the content of most e-mails you receive. But with phishing scams, victims are often faced with an unexpected request. A common ploy is the e-mail from a “friend” stranded in a foreign country. He or she just needs a one-time wire transfer of a few thousand dollars to make it home safely. How often does this scenario actually take place in real life? Requests like this one are unusual for a reason—they aren’t legitimate. Phishing e-mails often ask you to “verify” your credit card number, social security number, or account password—something legitimate services wouldn’t do. Never share sensitive information through e-mail. Now that you know the signs of a phishing e-mail, what should you do if you spot one? It’s simple: Just delete it! 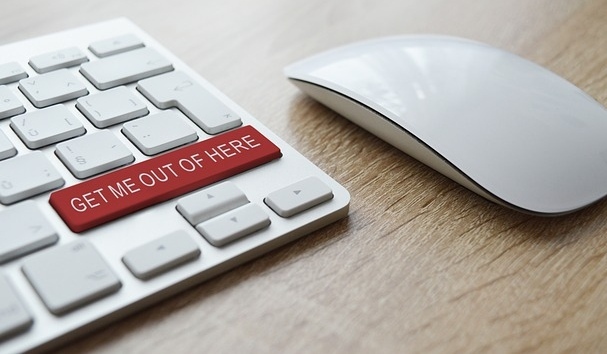 Many users feel compelled to report phishing e-mails to someone else—whether it’s a coworker or the e-mail service provider—but if a suspicious e-mail is forwarded, it’s more likely that the malicious link will be clicked. If we all get in the habit of recognizing and deleting suspicious e-mails, phishing will become a weaker threat altogether. If you’re unsure, press delete. If an e-mail is causing you to hesitate, it’s probably because something is “phishy.” Trust your gut. In the event that you accidentally delete a legitimate e-mail, the sender will get in touch with you again, at which point you’ll have more information to work with. Verify with the sender “out of band.” In other words, simply call the sender. Don’t use a number provided from the e-mail, because it could be fake. If you don’t have the actual number on hand, try researching the official website of the business or individual.